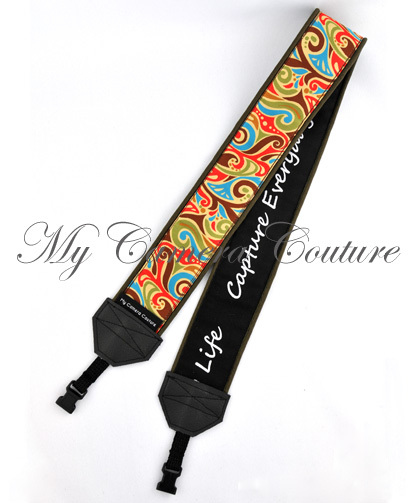 Our handmade SLR and DSLR camera straps are reversible with the fashion fabric on one side and "Capture Everyday Life" at least twice on the reverse (unless otherwise specified). 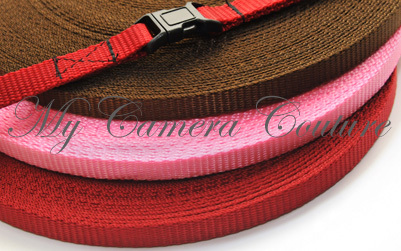 These lovely camera straps are made with high quality materials in our smoke free studio. 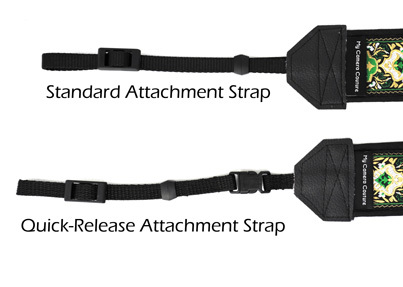 The camera straps have 24 ½” of patterned material plus the attachment hardware (either quick-release or standard) making the finished strap about 44" long. The quick-release system means it takes only seconds to switch your straps to suit your mood or between cameras/gadgets. New for Winter 2010...glorious colour attachment straps! 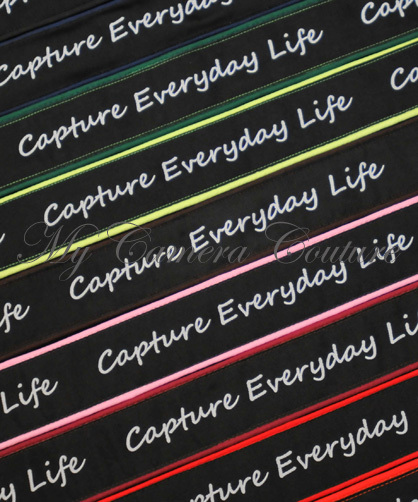 Currently offered in brown, red, pink, green and blue, coloured straps can be added to most products for $2. Look for this option on the product pages. If you don't see the option listed yet, ask!